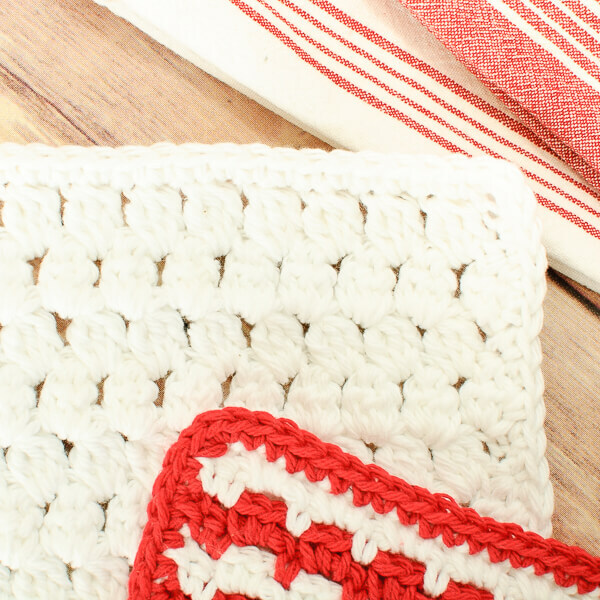 I find crochet dishcloths to be one of life's simple pleasures! 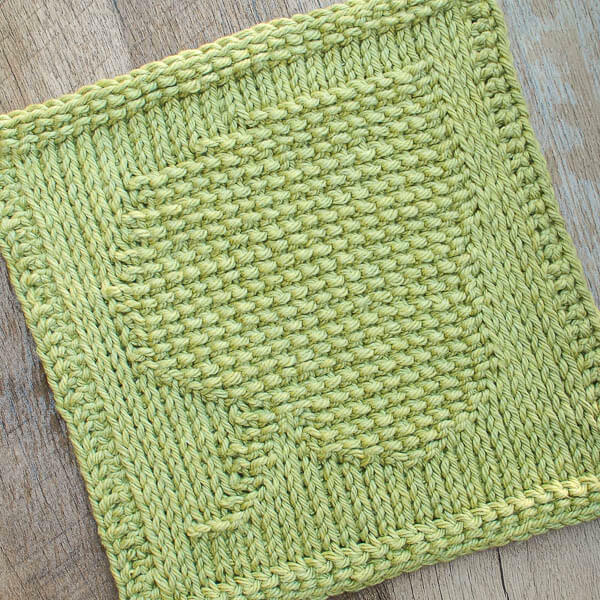 Not only do they make for a quick and satisfying project, but the result is a beautiful and functional piece to use or gift. 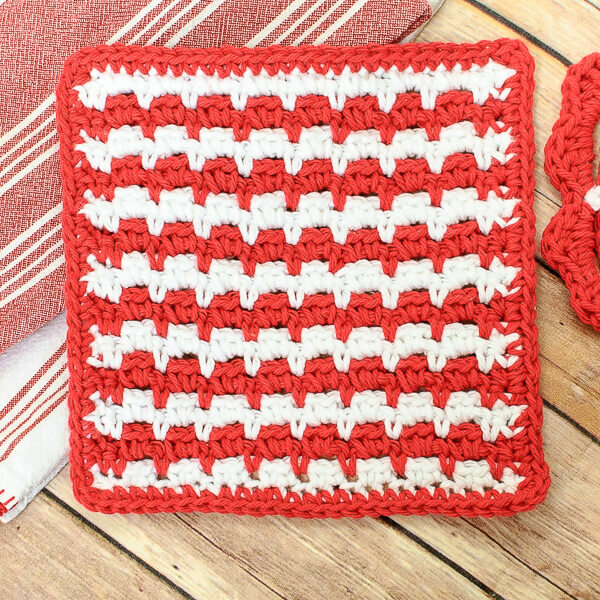 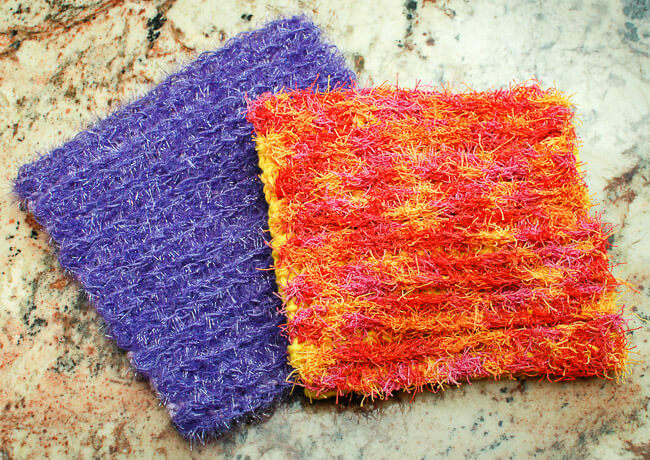 Dishcloths make for such a great portable project too ... perfect for traveling or stashing in your purse for quick breaks. 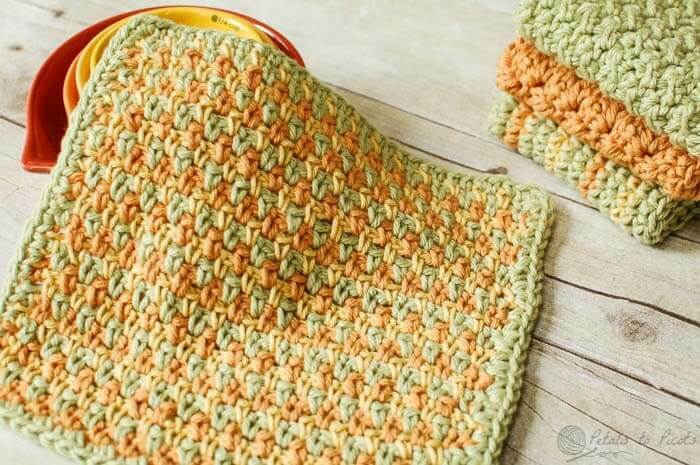 They are also wonderful for practicing different crochet stitches and techniques. 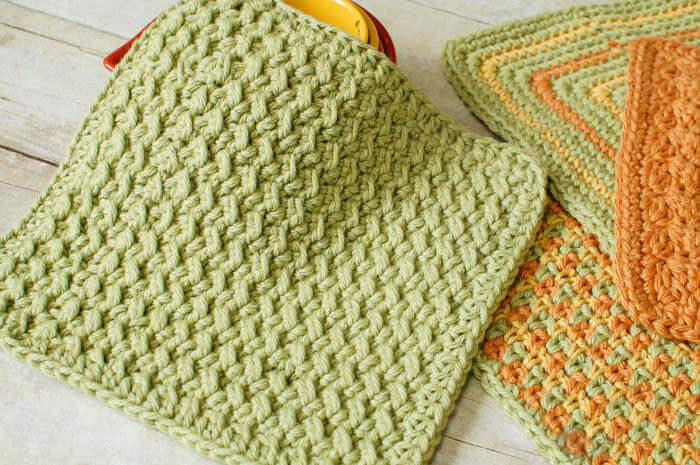 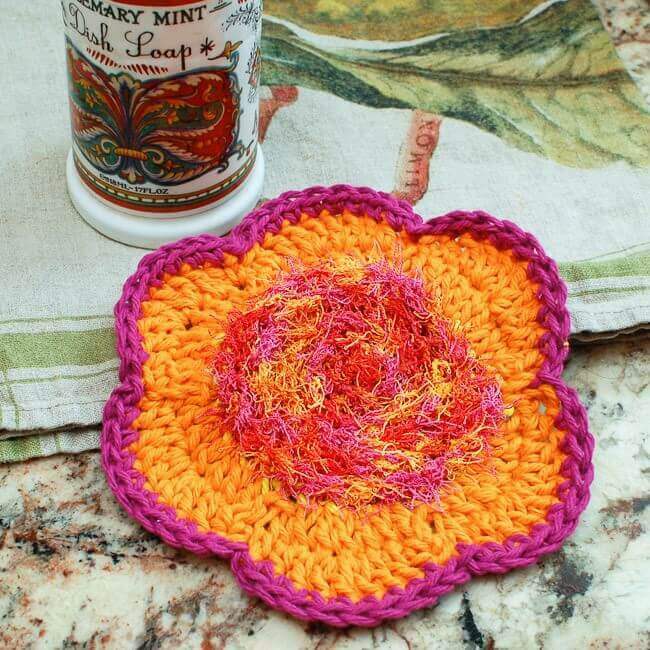 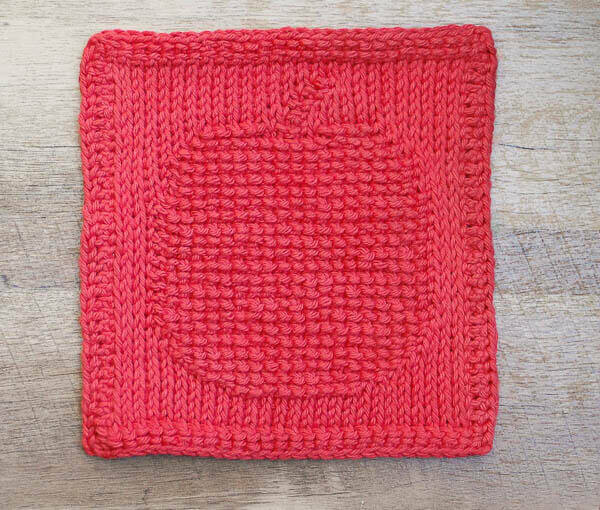 In my crochet workshops, when we work through my Learn to Crochet Series, we use dishcloths as first projects. 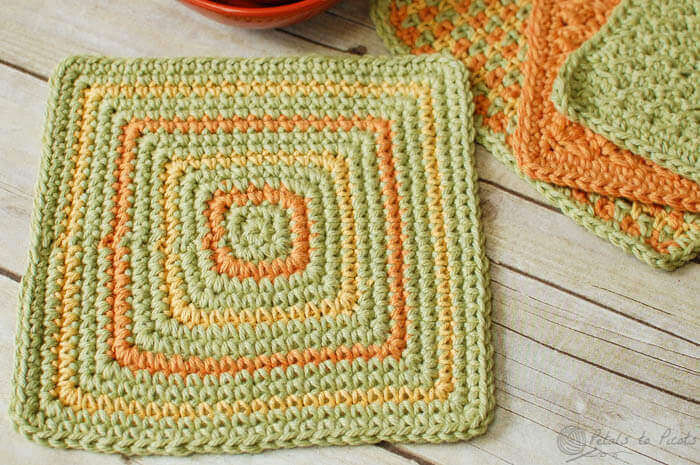 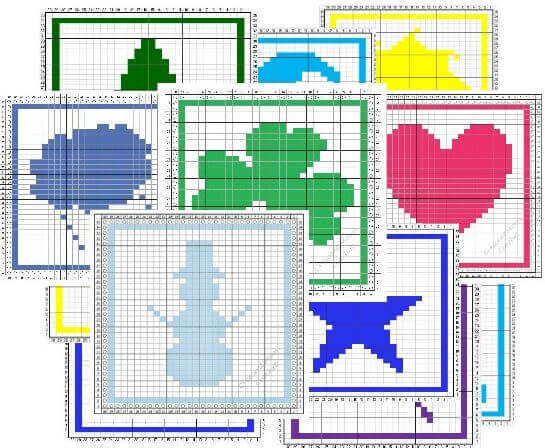 They help introduce new skills and techniques including: counting and identifying stitches, working stitch combinations, changing colors, working in the round, and creating an edging. 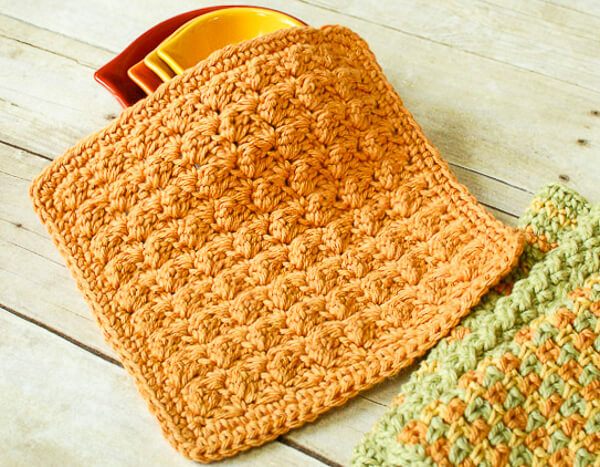 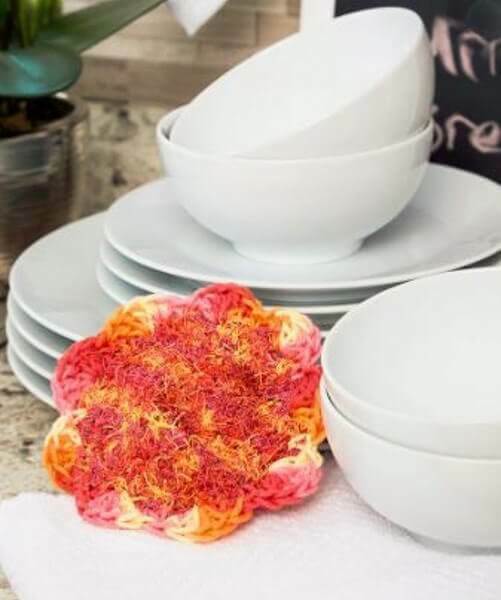 Crochet dishcloths require very little yardage to complete but it's important that you use a cotton yarn so they absorb water, such as Lily Sugar 'n Cream or Lion Brand Kitchen Cotton.